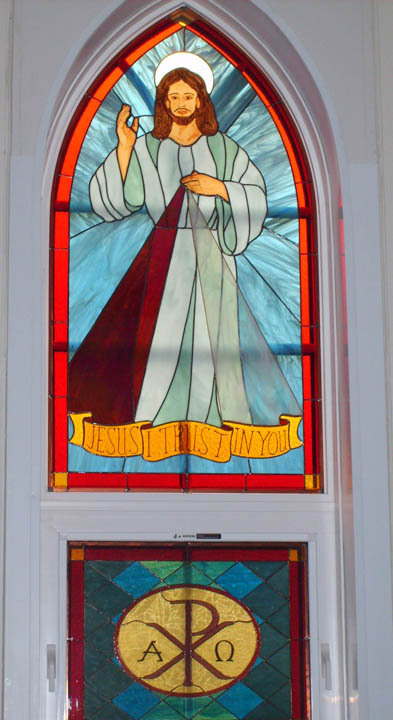 Brief Description of Subject: Jesus is holding one hand up and one toward his chest. A clear beam and a dark red beam are emitting out of his hand. The small window below has an alpha and the omega.